Posted on October 11, 2017 at 8:39 pm. A new U3A is being established at Prospect, SA. 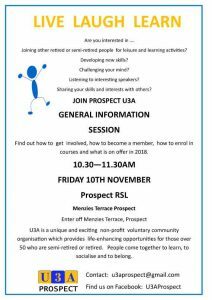 There is an introductory information session on the 10th November.